It came as a nasty surprise to almost everyone a decade ago when we found ourselves on the cusp of a worldwide financial collapse. Most business journalists — including me — failed to see the 2008 disaster until it was almost upon us. But these days, predicting meltdowns has become positively trendy. With stocks at or near record levels, unemployment low and the economy booming, it’s become conventional journalistic wisdom to predict that evil days lie ahead. And not very far ahead. The recent New York Times editorial, “Inviting the Next Financial Crisis,” is just one example. But I don’t think that today’s obvious problems will cause tomorrow’s crisis. Why? Because obvious problems usually don’t cause crises. You get a crisis when problems combine in unpredictable and unforeseen ways. In 2008, complex financial instruments that almost no one understood — based on various pools of shaky loans — inflicted huge losses on giant companies like Bear Stearns, Lehman Brothers and American International Group almost overnight. Those institutions didn’t realize their portfolios were toxic until financial sepsis had already set in. Worse, a series of financial relationships among those players and others, intended to reduce risk, ended up accelerating it. However, there is one clear and present danger to the financial system that almost no one seems to be discussing in public. In fact, multiple experts whispered about it to me and said they discuss it behind closed doors but don’t breathe a word elsewhere for fear of becoming the target of a presidential tweetstorm. So I’ll do it, at the risk of being called a peddler of “fake news.” I think the biggest danger of financial problems exploding into a worldwide meltdown involves … Donald Trump. No, I’m not talking about Trump’s economic and regulatory policies, which people can legitimately disagree about. I’m talking about the way Trump behaves. This is a guy with minimal impulse control, someone who makes up stuff on the fly, tweets it, publicly undercuts his subordinates, insults opponents and allies, and goes back on his word so frequently that no major player in the worldwide financial system is likely to trust him. Based on what I saw a decade ago, I feel comfortable telling you that if trust and cooperation between the United States and other major financial powers are lacking, relatively small problems could metastasize rather than being cured or, at least, treated. Let’s look at some of today’s financial problems, which I don’t think will cause a crisis because they’re, well, obvious. The first danger is that U.S. interest rates are on the way up, regardless of whether Trump succeeds in bullying the Federal Reserve into abandoning its rate-raising program. The Fed cut short-term rates, which it controls directly, to virtually zero a decade ago to stimulate the economy and boost the prices of assets, especially stocks. It also went to extraordinary lengths to force down long-term rates. Now, both short and long rates are going back up. A major reason: the increase in current and future federal budget deficits created by last year’s tax bill, which will require massive federal borrowing. Higher interest rates drive down the market value of existing bonds and hurt prices of houses and other assets. I don’t know where the stock market is going — who does? — but higher interest rates will exert downward pressure on it. Here are some other problems: House prices, especially in high-income areas and in parts of blue states targeted by last year’s tax legislation (which limited annual deductions for state and local income and real estate taxes to $10,000), seem to be weakening. Given that home equity is most people’s biggest financial asset, you can see why this is a problem. As is the fact that some mortgage lenders seem to be reducing down payment requirements and making riskier loans. Subprime auto loans are growing rapidly, possibly because they performed relatively well during last decade’s meltdown. Back then, subprime auto loans performed better than subprime mortgages, apparently because financially stressed borrowers realized that their lives could be devastated in an eye blink by having their car repossessed and being unable to drive to work, but it would take a lot longer for lenders to repossess their homes. Therefore, quite rationally, they gave car payments priority over house payments. Now, however, people seem to be taking out subprime loans for multiple cars, which could reduce their incentive to keep making payments if their finances hit the wall. Student loan debt is a huge, growing and widely recognized problem. But while it’s in crisis territory for many students and their co-signers, I don’t think it threatens the financial system. Corporate debt — especially from private-equity firms buying companies and from corporations trying to make predatory “activist investors” happy by going into hock to buy their own shares — is very high. And it’s having an impact. Consider the collapse of private equity-owned Toys R Us, which couldn’t generate enough profit to cover its buyout debt. The tanking of Toys R Us has led to problems for landlords, who typically borrow heavily to finance shopping centers. And to mass layoffs. Dozens of other retail chains, most of them burdened by debt (which makes it far harder for them to compete with the likes of Amazon), are closing stores. That throws thousands of people out of work. I don’t think there’s danger to the worldwide financial system from the problems we know. However, there could be danger from things that we don’t know. Are there risky derivatives tied to subprime auto loans or distressed real estate or even student loans that could trigger meltdowns of major institutions? I just don’t know. Some mistakes of a decade ago are instructive. Subprime mortgages were a recognized problem before the crisis, but Federal Reserve chief Ben Bernanke, among others, downplayed the danger because such mortgages were only a relatively small part of our economy. However, there were all sorts of esoteric mortgage-related securities out in the world and few players understood them. These esoterica multiplied the risks, and institutions like Lehman Brothers, Merrill Lynch and Bear Stearns were gutted by them. 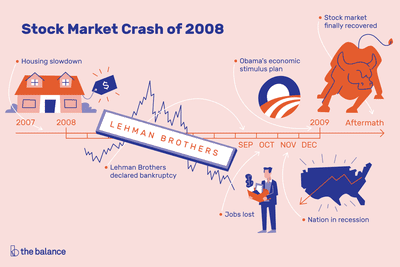 Then there was the government’s disastrous decision to let Lehman go broke, which it did on Sept. 15, 2008 (now accepted as the official date of the crisis). Regulators who bailed out Bear Stearns six months earlier were being heavily criticized, which I’m sure (but can’t prove) influenced their decision to let Lehman croak. Oops. Lehman’s failure led the Reserve Primary money market mutual fund to “break the buck” by saying it couldn’t redeem shares at a full $1 because it owned Lehman securities. This led to an incipient run on all money funds, forcing the Treasury to guarantee that the $3.4 trillion of funds — that’s trillion, with a “t” — could redeem their shares. In addition, hedge funds that had Lehman as their “prime broker” couldn’t get access to their assets. That led other hedge funds to start withdrawing assets en masse from their prime brokerage accounts at the Goldman Sachs and Morgan Stanley investment banks. The Fed then quickly gave them commercial bank charters to restore confidence by making them eligible for huge Fed loans. Is there another Lehman-like disaster lurking? I don’t think so. But I don’t pretend to know. But I do fear the Triple T: the Toxic Trump Threat. Some context. Even with George W. Bush as an unpopular lame duck president as the financial crisis unfolded in 2008, Treasury Secretary Hank Paulson, Fed Chairman Bernanke and New York Fed head (and later Treasury Secretary) Tim Geithner coordinated with central bankers and government officials in other countries and made unpopular and difficult decisions. Bush didn’t interfere. Neither did Obama, when he took office in 2009. Whatever problems you might have had with Bush and Obama, they radiated seriousness and acted like grownups during the crisis. They allowed Paulson, Bernanke and Geithner to make up bailout rules as they went along, forestalling a worldwide collapse without being publicly second-guessed by the White House. If for some reason we run into a serious international financial problem with Trump as president, do you think anyone will take Treasury Secretary Steve Mnuchin or Fed Chair (and Trump tweet target) Jerome Powell seriously? Or believe they have authority to commit the U.S. to anything? Do you think Trump, who has picked fights with Europe and Japan and China, could or would cooperate with the Europeans, Japanese and Chinese? Will they trust Trump to keep his word should something he or Mnuchin or Powell say or do upset “the base”? I think not. With luck, we’ll never have to find out if I’m right. And I hope that in 2028, people will be talking about the 20th anniversary of the 2008 financial crisis, not the 10th anniversary of the one that struck in 2018.